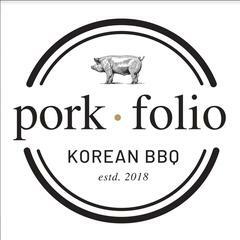 Service Team Member position at PORKFOLIO KOREAN BBQ at the Westfield Santa Anita, CA<br><br>Passionate and motivated Servers who can help make a difference in a thriving company. Our busy restaurants mean consistent hours, flexible schedules and the opportunity to make a great income – as well as a lot of friends and memories along the way! Our in-depth training will set you up for professional success, no matter where your career takes you.<br><br>Team work isn't just practiced at PORKFOLIO Korean BBQ, it's the foundation. We create an exciting work environment with a culture focused on family, fun, and community. We cook simply delicious, fresh-high-quality food daily. Our valued restaurants feel family-run, where we foster personal and meaningful connections within our communities, resulting in a large following.<br>We are currently seeking Servers and to join our team. We bring together caring, warm, fun, and intelligent people who love to serve, and who represent our mission to pursue our purpose in hospitality. This is an excellent career growth opportunity for a food service professional with experience and a desire to learn, grow, and lead others.<br><br>What You'll Need:<br>●	One-year experience in a full-service restaurant preferred<br>●	Able to cook table-side Korean BBQ on a gas griddle<br>●	Resourceful, clean & organized working habits with strong attention to detail<br>●	Personable, outgoing, energetic team player with a positive attitude<br>●	Sense of urgency with a commitment to learn<br>●	Ability to think quickly on their feet and multi-task with ease in a fast-paced environment<br>●	Ability to communicate effectively<br>●	Flexible availability including nights, weekends and holidays Food, Hospitality and/or Customer Service experience<br>●	A team player with an adaptable and positive can-do attitude<br>●	Accountable in upholding high standards<br>●	Able to be calm and maintain order under pressure<br>●	Able to be hospitable and maintain high levels of service<br>●	Must be conscious of physical presentation and have clean work habits<br><br>What You'll Do:<br>●	Provide genuine hospitality and high level of guest service and satisfaction<br>●	Prepare traditional Korean BBQ table side service<br>●	Opening and closing duties needed to set-up and break down front line area<br>●	Demonstrate proper food handling<br>●	Stay knowledgeable of our changing menu to effectively communicate all ingredients to guests including critical dietary information<br>●	Operate POS register<br>●	Greet guests, guide the customer journey and resolve guest issues<br><br>Our Benefits:<br>●	Competitive salary<br>●	We are growing, and want you to grow with us<br>●	A friendly, fun, and positive work environment, with a supportive team<br>●	A clear career path with opportunities for advancement and career development<br>●	Healthy + delicious shift meals<br><br>The statement in this job description is intended to describe the essential job functions being performed. They are not intended to be ALL responsibilities or qualifications.<br>TO APPLY Please attach your cover letter and resume with the subject line (Server or Busser Position)<br><br>PORKFOLIO Korean BBQ is proud to be an Equal Opportunity Employer and participates in E-Verify. These positions are subject to a criminal background check<br><br>About PORKFOLIO Korean BBQ…<br>PORKFOLIO Korean BBQ offers a selection of delicious premium BBQ meats in a chic industrial setting. Our signature 8 flavors of pork belly feature thick scrumptious slices of the exclusive premium pork belly in an array of flavors. For the beef aficionado, we have a choice of Argentine Grass Fed, USDA Prime and Japanese Wagyu breed, which is famed for its melt-in-your-mouth texture. With a well-trained staff at the full-service BBQ Korean restaurant, diners can simply sit back enjoy their favorite drink and conversation whilst the food is expertly prepared for them at their table.<br>We are seeking passionate and motivated employees who can help make a difference in a thriving company. Our busy restaurants mean consistent hours, flexible schedules, and the opportunity to make a great income – as well as a lot of friends and memories along the way!<br><br>Our in-depth training will set you up for professional success, no matter where your career takes you. Teamwork isn't just practiced at PORKFOLIO Korean BBQ, it's our foundation. We create an exciting work environment with a culture focused on family, fun, and community. We cook simply delicious, fresh-high-quality food daily. Our valued restaurants feel family-run, where we foster personal and meaningful connections within our communities resulting in our large following. <br><br>We bring together caring, warm, fun, and intelligent people with a commitment to guest service and who represent our mission to pursue our purpose in hospitality. This is an excellent career growth opportunity for a food service professional with experience and a desire to learn, grow, and lead others.